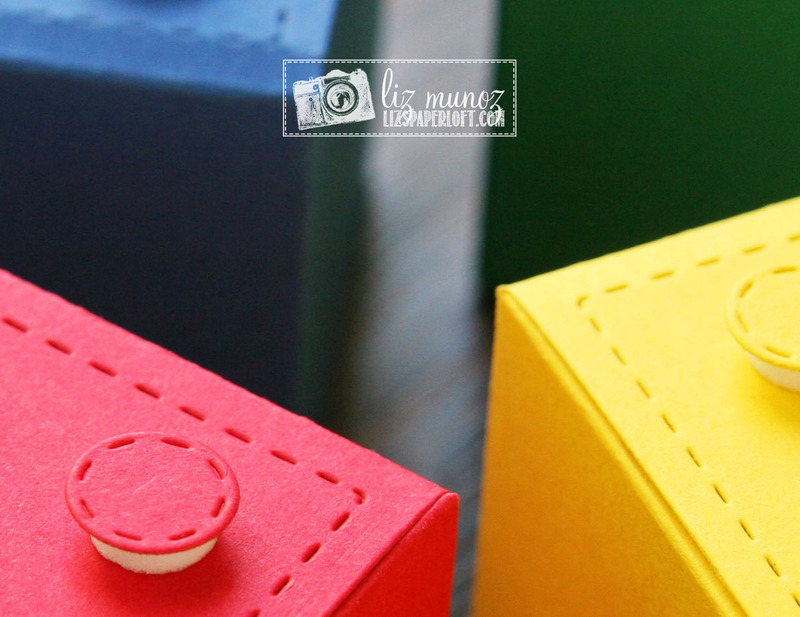 Liz's Paper Loft: mct July Release Sneak Peek Day 2 ~ lego boxes! Hey hey it's day 3 of My Creative Time July Release Sneak Peeks! Here is another must have die that is so versatile! It's the Stitched Box Die! 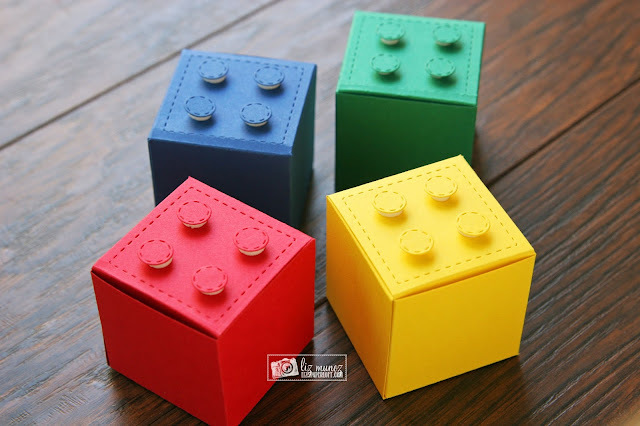 I just added the tiny circle popped up to create these fun lego boxes! How fun would these be for a birthday party! OMG! Your boxes are amazing! Super clever and so fun! These are so fun! Love your lego boxes! Great colors too! Lego boxes...I never would have thought of this clever idea! Great job. OMG!!!! These are tooooo cute! What a clever idea to turn them into lego! What a cute favor this would be!! OMG Miss Liz....WOWZERS girl....your Lego Boxes are Spectacular. I couldn't wait to see how you did this....You totally outdid yourself!! Talk about being ever so clever and creative You definitely did a Super Outstanding Creative job!! YOU so ROCK!! Awesome idea!! Cute lego boxes!! So cute and fun! My brother is a big Lego fanatic. This would be cute treat holders. So clever! My son would love those at his next party! Your lego boxes are just the cutest, Liz! So clever!!! Hi Liz. These are oh so CUTE. Love the lego theme. Awesome. Wow! I really like all the creations but lego's was super clever! Oh wow, you did a brilliant job with this box, love it! How stinken cute and so creative!! Love this sweet die..fun release! Wow- these lego/boxes will be a hit at any party. So clever. Seriously? How cute is this!!! Love your creativity! My grandsons would love this.They are such Lego fans. Thanks for a fabulous idea. OMG what a fantastic project! So clever. I need to make some of these for my grandson. Liz let me just say oh yes a great reason to have this die!! !😍 my girl and nieces love legos. So they would love these boxes as I do. Great take on the die.